Programs run by Ronald McDonald House Charities of Nashville, the 36-bedroom Ronald McDonald House and the Ronald McDonald Family Room on the 5th Floor of the Monroe Carell Jr. Children’s Hospital at Vanderbilt offer a place for parents and family members to relax, refresh and experience the comforts of home while staying close to their sick child. Ronald McDonald House Charities of Nashville serves families from across the country and around the world. Since our doors opened in 1991, we have served more than 15,400 families from all 95 counties in Tennessee, 66 counties in Kentucky, 41 other states and 14 foreign countries. In 2018, we served 393 families in our House with an average length of stay of 20 nights and a daily waiting list of 13 families. While it costs around $85 a night to house a family, we request just $15 per night from families to stay with us. More than 98% of families cannot afford to make this donation and we have never turned a family away because of their inability to pay. The Ronald McDonald Family Room, is for any family of a child receiving treatment at the Children’s Hospital. The Family Room is open from 9am to 9pm, seven days a week and is staffed by caring volunteers and part-time staff members. We serve more than 1,700 individuals every month at the Family Room. In 1973, Philadelphia Eagles football player, Fred Hill, and his wife, Fran, learned that their daughter, Kim, had leukemia. While traveling into Philadelphia for treatment at the Children’s Hospital, they met other families with sick children in the same situation. These families drove hours to the hospital to be with their children, only to sleep overnight in waiting room chairs and to eat from vending machines because they had nowhere else to go. After discussing the need for a place to stay for families, their daughter’s doctor, Dr. Audrey Evans, head of the pediatric oncology unit at Children’s Hospital of Philadelphia, shared her dream of a comfortable temporary residence for families of children being treated at her hospital. Fred rallied the support of his Eagles teammates to raise funds. Through Jim Murray, the Eagles’ general manager, the team offered its support. Murray enlisted Don Tuckerman from the local McDonald’s advertising agency who, with the support of McDonald’s Regional Manager Ed Rensi, launched the St. Patrick’s Day Green Milkshake (now known as the Shamrock Shake) promotion. Funds raised went toward purchasing an old house located near the hospital. And thus, the first Ronald McDonald House came to be in Philadelphia in 1974 – a “home away from home” for families of ill children. By 1979, 10 more Houses opened. By 1984, local communities founded 60 more Houses; then 53 more opened by 1989. Today, more than 326 Ronald McDonald House programs in 30 countries support families around the world – providing comfort to more than 10 million families since 1974. The idea of a Ronald McDonald House in Nashville came from Dr. John Lukens, the head of the pediatric oncology department at Vanderbilt Children’s Hospital after he visited the second Ronald McDonald House, which was built in Chicago. The dedicated group who spearheaded the effort to have a House in Nashville consisted of medical professionals, members of the McDonald’s restaurant family, community leaders and families who had experienced first hand the illness of a child. 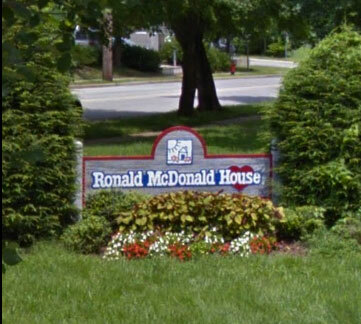 The original 16-bedroom Ronald McDonald House in Nashville opened in July of 1991 with seed money from the local McDonald’s owner/operators and donations from corporations, organizations, individuals and foundations. The Ronald McDonald House in Nashville was the 142nd house completed. In 1999 the Nashville Ronald McDonald House doubled in size to provide more room to support more families who were caring for their sick children. The expanded Ronald McDonald House is equipped with 36 bedrooms all with private baths (three for the disabled), a laundry room, pantry, 2 kitchens, and dining rooms. The House offers families a place to come together at the end of a long day at the hospital to receive support and encouragement from other families in similar situations. Of those 36 bedrooms, three are extended stay suites with kitchenettes for children who require isolation (i.e., following bone barrow or heart transplants). Also included is one short stay room for families who need a place to get away from the hospital during the day, but will return home at night. The Nashville Ronald McDonald House also has a large family room, teen/game room, children’s playroom and a library. In February 2004, Ronald McDonald House Charities of Nashville officially opened Nashville’s first Ronald McDonald Family Room at the Monroe Carell Jr. Children’s Hospital at Vanderbilt. This room is an extension of the Ronald McDonald House where families and friends of seriously ill children can enjoy a quiet respite from corridors and waiting rooms, whether or not they’re staying at the Ronald McDonald House. 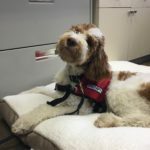 The Ronald McDonald Family Room includes a comfortable seating area, a kitchen stocked with snacks, a children’s play area, a half bath and the support of caring staff and volunteers. The Ronald McDonald Family Room has served more than 300,000 individuals since its opening and averages 2,100 visitors per month. Since the Nashville Ronald McDonald House first opened its doors in 1991, more than 15,400 families from over the U.S. and several foreign countries have benefited from the services and hospitality provided by the volunteers and staff of our Ronald McDonald House. It is only with the help of our incredible supporters that we are able to fund our programs. Click here for a list of some of our corporate supporters who consistently donate time, money, and resources needed to keep the Ronald McDonald House and Ronald McDonald Family Room running smoothly. Roger Rochelle, First Tennessee Bank, N.A. Ronald McDonald House Charities of Nashville (RMHC) has been fortunate throughout its 25 years to have many dedicated donors and friends, including the McDonald’s Corporation and our local McDonald’s Owner / Operators. It is a common misconception that McDonald’s funds 100% of our operations; although they are a longtime partner and committed donor, the McDonald’s Corporation is just one of many community partners we have and it does not underwrite our operations. All funds raised through McDonald’s are designated to our capital expenses, such as replacing the flooring in our House, repainting, replacing our roofing or a water heater. 100% of our program funds and operational funds are raised through the community from individuals, other corporations, private foundations and organizations. Each year, local McDonald’s Owner / Operators contribute the funds raised through their annual Music City Golf Tournament, which has raised over $2 million for RMHC of Nashville over the past 32 years. In addition, one of the priceless benefits of this partnership has been continuous contributions from national donors who are business partners with the McDonald’s Corporation including American Farm Bureau, The Coca-Cola Company, Dillard’s, Georgia-Pacific, La-Z-Boy, Southwest Airlines, Stampin’ Up and Tempur-Pedic. We salute the McDonald’s Owner / Operators who have made the commitment to ensure RMHC of Nashville is able to provide a home away from home for families of critically ill children.